Victoria Gardens Fruit and Veges took over the 6 acre property they currently sit at in late 2008. In the beginning a lot of produce was produced from the property but as the retail shop increased in popularity, the growing was down sized to cope with everything on a day to day basis. In Mid 2014 the decision was made, with the help of a business mentor, to increase the size of the retail shop by 50%, this was completed by May 2015. Victoria Gardens are excited looking ahead at the growing side of the business as they produce items that you may not normally find at a market. With 3 big glasshouses and 3 tunnel houses as well as the ground not covered Victoria gardens have the room to play and experiment. The season ahead looks to be very productive with more organic and spray free options available. 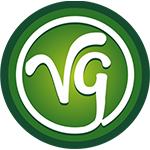 Check out Victoria Gardens on Facebook now as well, this is where they offer one off specials and invite people to share their recipe ideas and general ideas on fresh produce.